You see a girl at the end of the bar. She looks pretty, but you're not one for looks. You need to try to pick her up the only way you know how- with a cheesy pick-up line! 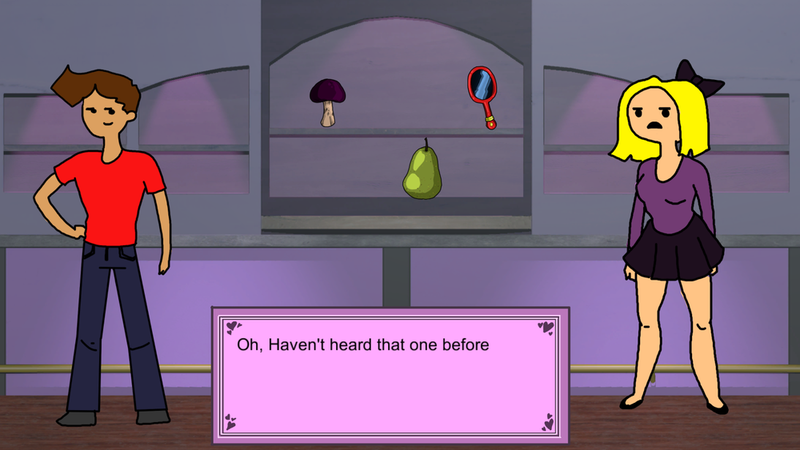 Find objects in the bar to make puns from, and use them to try and make punny pick-up lines. Be witty, silly or sleazy, as you try your best to charm the woman at the end of the bar. With tons of items to make puns from, the game becomes a matter of finding the funniest puns that will help you get your date! Made for "Gold Coast Creative Game Challenge 2016", for the theme: "Puns"